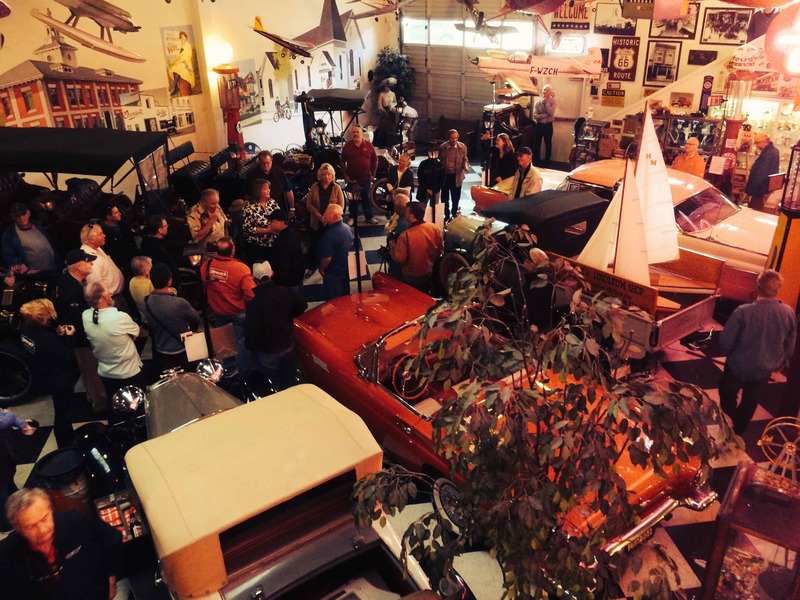 DAY 1 – The Garage Style Magazine Garage Tour – About 50 of us toured to several great garages, where the owners would take us through their process of creating the automotive ambience they chose for their garage. This one – full of vintage touring cars – each with a story of a long drive or club tour. DAY 2 – Carmel-by-the-Sea Concours – There were hundreds of cool cars displayed on the streets of Carmel, but none created a scene like Gary Wales’ latest creation. With a Batman theme and a 12-cylinder fire-truck engine, he created quite a stir entering the show – and did I mention – he does one of these every year? DAY 3 – The Auctions – Well, you could write a book about what was offered, what sold, and what didn’t at the 6 major auctions in Monterey – but suffice it to say the totals are just shy of $350 million sold, which is down about 50 large from 2015, with a significantly lower closing ratio throughout. 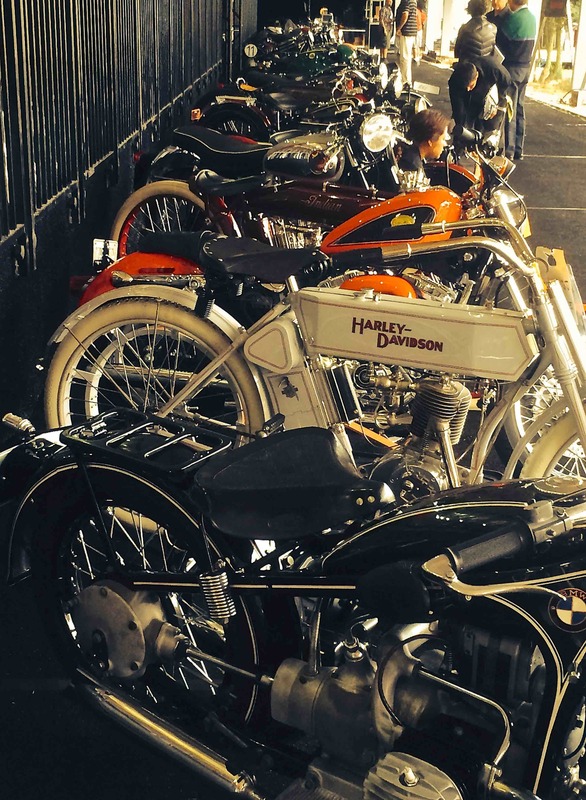 Me, I love vintage motorcycles, and here’s just a few from Mecum, where the selection was wide and deep. 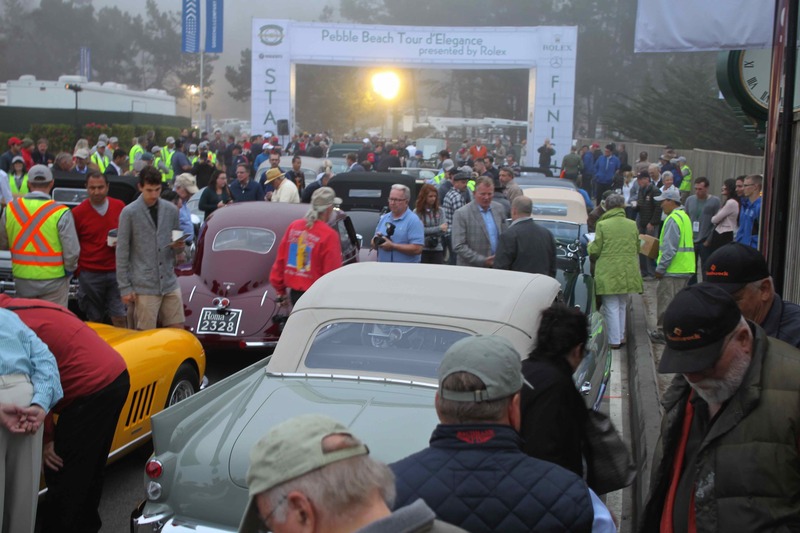 DAY 4 – The Pebble Beach Tour – Hard to estimate the total value of the cars that roll past you on Thursday morning in Monterey – certainly many hundreds of millions of dollars. Gets an insurance guy’s heart a-twittering to see them parked so close together, with thousands of spectators clamoring for a look. 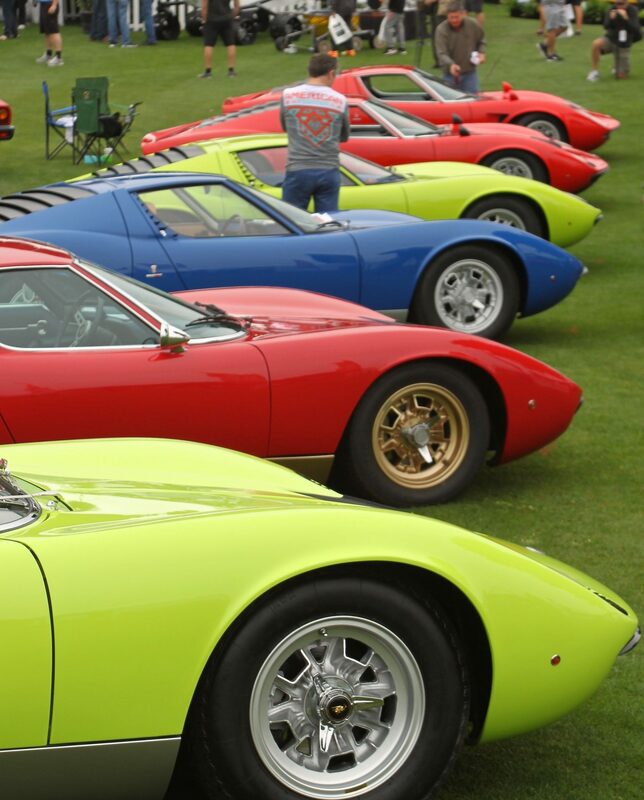 The crowd was huge – and no wonder – with a Concours ticket price jumping like an Olympic pole-vaulter, it’s a chance to see these great cars for free. DAY 5 – Laguna Seca – This is an easy choice for me – among all the great race cars here, the Pre-War aisle is always my favorite. Wonderful racing for 4 days, and wandering the pits is like a back-stage pass to racing history. DAY 6 – Concorso Italiano – I call this one “Which Color?” I spoke with this gentleman at length, and he came specifically to see the featured Muira row. He was gazing at these cars like a freshman boy at the Senior High School dance – and stated he had always dreamed of owning one. 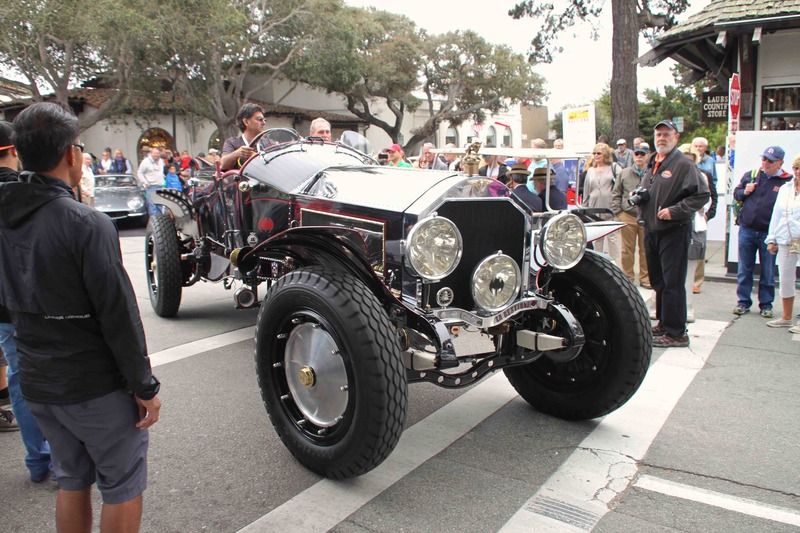 DAY 7 – Pebble Beach Concours – This is a photo that gets taken 1,000 times at every Pebble Beach Concours. 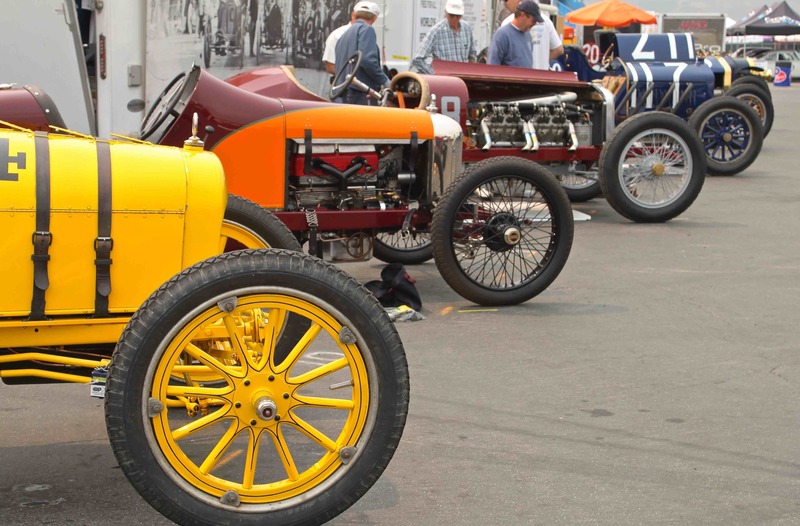 The cars in the feature row are not judged and have been a variety of marques over the years. 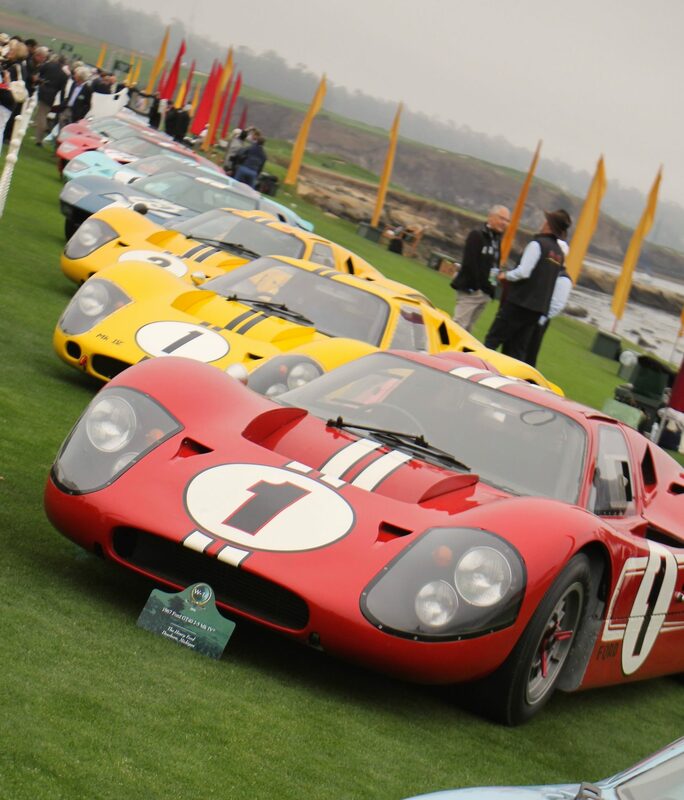 For 2016, Pebble featured an incredible fleet of Ford GT40’s. Nicely parked, I might add – which is why every photographer snaps this one.